On July 2nd, Probation Service Director Vivian Geiran launched a new scheme which aims to create jobs and support social enterprise in the criminal justice sector. 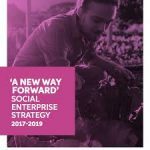 The programme was developed jointly by the Probation Service and the Irish Prison Service, as part of the Department of Justice and Equality’s Social Enterprise Strategy, ‘A New Way Forward’. IASIO is committed to supporting this strategy by providing access to Social Enterprise opportunities for suitable clients, and providing assistance more generally as the need arises. 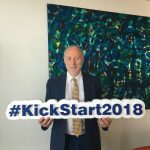 More information on the Kick Start Fund is available on the Probation Service website here. The closing date for applications is Friday August 31st. IASIO has successfully assisted over 17,000 offenders to gain education, training, employment and resettlement support since each of the Services began.